Mind your beeswax is a silly expression. This illuminating story should be everybody’s business. The honeybee furnishes mankind with two extraordinary and noble products; honey and wax. Jonathan Swift engenders the honeybee’s noble creations as “sweetness and light.” Honey has all the ingredients necessary to sustain life and wax gives us light to aid our sight. Let’s talk about light. 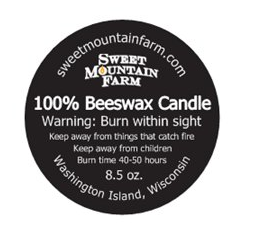 Candles were originally made from beeswax. Today, beeswax is the organic alternative to paraffin wax. Beeswax candles burn clean, without smoke or pollutants, produce a subtle sweet odor, and emit negative ions. When a beeswax candle burns, it releases negative ions. Pollen, dust, and dirt carry a positive charge causing the pollutants to become airborne. 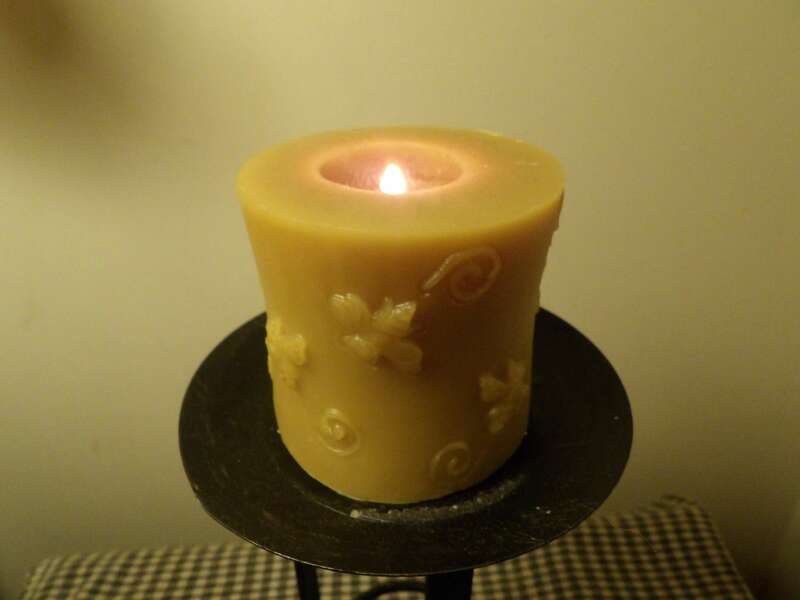 A burning beeswax candle releases negative ions attracting the positively charged pollutants. Pollutants are attracted to the burning candle and get drawn back into the burning candle or fall to the ground as they become neutralized. Beeswax candles also burn brighter and stronger. Paraffin candles are a by-product of petroleum refining; a highly toxic and environmentally unfriendly product that poisons the air. The paraffin burns hotter than beeswax and burns more quickly. Paraffin wax is made from crude oil sludge. In the refining process paraffin is one of the last products extracted. The black sludge, filled with numerous toxins, is bleached and then treated with benzene or toluene. A paraffin candle releases seven toxins. Two toxins are carcinogens. Along with the paraffin, toxic additives are used to enhance color and fragrance. The final result is an inexpensive candle used by many unknowing consumers. Toxins are one problem but over time, paraffin candles will leave black soot stains on walls, ceilings, furniture, and drapery. The microscopic soot particles can also cause serious health problems. These tiny particles are easily inhaled and get trapped in the deepest part of the lungs, which can lead to respiratory irritation. The choice is simple. There is the inexpensive paraffin candle that burns quickly. The smell of kerosene or gasoline is masked by the overabundant artificial fragrance that damages the lungs and dirties the house or there is a beeswax candle that costs more but cleans the air and burns brighter and slower. The choice is clear.